It has been a recent trend for Rajnikanth's movies to have the name of the hero as the movie title. "Arunachalam" is not an exception. "Arunachalam" is a story about a village hero (Rajnikanth) who has 2 brothers and a sister and a happy family. Ravichandran and K.R.Vatsala are his parents. "Vedavalli" (Soundharya) is the daughter of Jaisankar and 'Venniraadai' Nirmala. Nirmala is Ravichandran's sister and they all come to Ravichandran's home for Rajni's sister's wedding. That gives the opportunity for Soundharya and Rajnikanth to fight first, then to kiss and fall in love with each other. Rajnikanth finds himself to be an orphan by interval. He goes out of the village. He goes to Madras where he meets Janakaraj, who gives him a job. By some magical situation Rajni discovers himself to be a son of a (dead) millionaire - through Visu. Visu is the guardian of Rajni's father's trust. If Rajni wants his inheritance, he has to follow certain rules. He can get an inheritance of 3000 Crore Rupees if he can spend 30 crores in 30 days. The conditions are: no contributions to charities, not to own any assets at the end of 30 days and above all, no one else should know about this! Receipts should be provide for all the expenses. If Rajni fails to spend the money according to the rules, all the money will go to his father's trust which is managed by V.K.Ramasamy, "Nizalgal" Ravi, Kitty and Raguvaran. These four form a team of "villains". They want to spoil Rajni's efforts and get all the money for the trust and kill Visu. Ramba is Visu's daughter and she is appointed as the accountant for Rajni for 30 days. What happens next is the main part of the story. Rajni tries hard to spend his money and many times, the money comes back! He spends on Horse races, lottery tickets, makes a movie with Senthil as the hero and he even starts his own political party with Janakaraj being the candidate. All these events are good opportunities for situation comedies. Does Rajni win this competition? Does he get all the 3000 Crore rupees for himself and live happily ever after? (see it in silver screen!) is the rest of the story. The first half of the movie is an original Tamil story. The second half of the story has been lifted from the English movie "Brewster's Millions" (with Richard Pryor in the lead role). I saw "Brewster's Millions" just before watching Arunachalam. See the bottom of this review for my "Review of Brewster's Millions" . Eventhough the story has been borrowed, it has been modified well to suit the Tamil culture and audience. 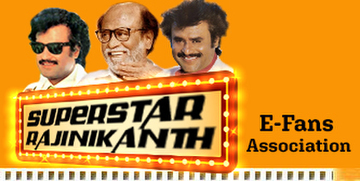 Super Star Rajnikanth satisfies all the requirements of Rajni fans - style, acting, good dance movements, fights and comedy. What more can one ask for? As usual Rajni's comedy acting is enjoyable. Particularly his comedy with Senthil is Superb. His love scenes with Soundarya is very interesting. Soundarya is not only beautiful, but she also acts well. Her love scenes with Rajni is worth mentioning again. Senthil deserves a special mention for his decent comedy. On several scenes, he is really funny. Janakaraj has been given a good role after a long time. He has done it well too. Vadivukarasi has done a totally different role in a superb way. Other actors/actresses who have done good acting includes: Jaishankar, Ravichandran, V.K.Ramasamy, Raghuvaran, Manorama, Visu and Crazy Mohan. Eventhough the dialogues by Crazy Mohan are not upto the level of "Avvai Shanmugi", they are good and they bring laughes throughout the movie. The fight scenes are not that great. There are not different from any other masala tamil movie. If making a typical entertaining Rajini movie is all that Director Sundar C. wanted, he has succeeded in that. The movie flows smoothly. The editing is also good, particularly the several slow motion scenes in this movie have been done well. Also, it has been a recent trend to show the shooting scenes at the end of the movie (thanks to "Jackie Chan" movies for inspiration!). At the end of this movie also, there are some shooting scenes which are interesting to watch. Music is by Deva. The two songs which are good are: "Athanda Ithanda.." (reminds us of "Naan Autokaren" from Batcha) and "Nagumo ai Sugamo..". Deva could have done a better job. The director has compensated for the music by filming the songs rich. With the one exception of songs, "Arunachalam" is an entertaining movie.